The Big Joe Cuddle Chair in stretch limo black is the ultimate bean bag lounger for your child. 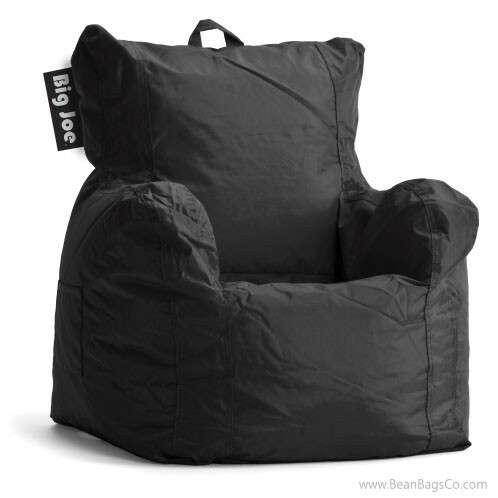 This pint-sized version of the bean bag chair has armchair styling for comfort, a carry handle so that it can be moved from room to room to follow parents or siblings, a handy pocket to hold media, remotes or other items and a drink holder to keep sippy cups or glasses conveniently on hand. The Big Joe Cuddle Chair is a fantastic option for versatile children’s seating in any room or for taking along on sleepovers, visits to relatives’ homes or on family trips. The Big Joe Cuddle Chair is a great choice for those who want quality for their money, as well. The tough, durable SmartMax ballistic outer fabric in sophisticated black not only looks great but stands up to incredible wear with its double stitching and stain-resistant qualities. The UltimaX bead filler provides comfortable support for hours of relaxation. 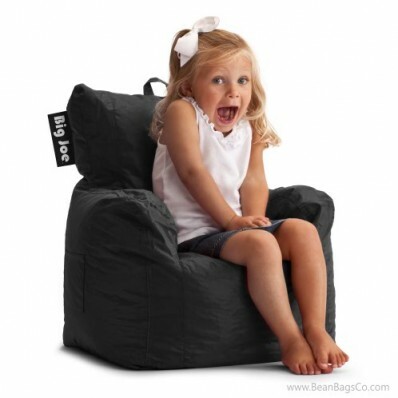 Get your little ones a Big Joe Cuddle Chair and let them cuddle in style!